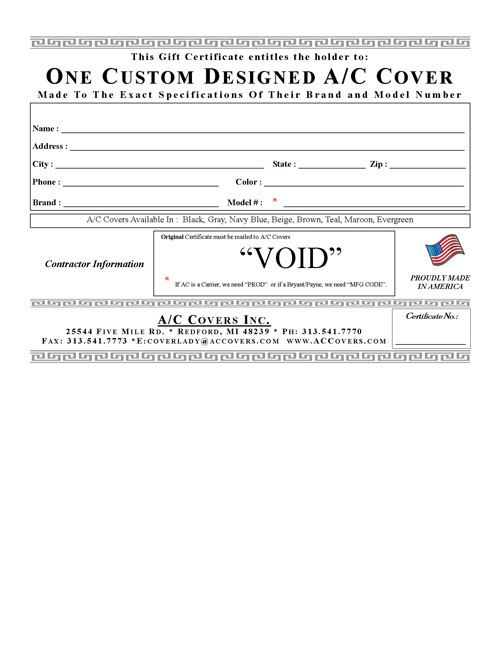 Custom Air Conditioner Cover Gift Certificate | Great Gift for Holidays | A/C Covers Inc. Looking for a housewarming gift for a neighbor or relative? Our Pre-paid certificates are a great option! You pay for it, they send in the certificate with their model number to receive their custom cover. It's as easy as that.